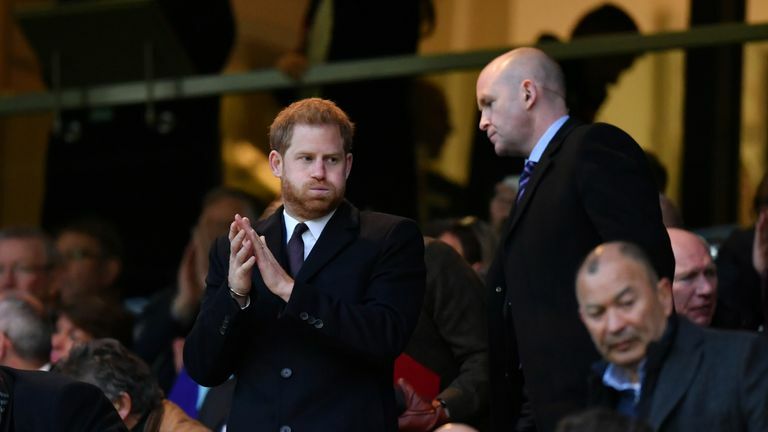 The Duke of Sussex has told an audience of key figures in rugby union the sport is unique in character building among young people. Prince Harry was speaking at Kensington Palace where he invited Eddie Jones and England's Six Nations squad to honour sport charities Try for Change and The Jonny Wilkinson Foundation. Along with Wilkinson, former World Cup stars Lawrence Dallaglio and Jason Leonard were also in attendance. Try for Change is a charity run by England Rugby and looks to use the sport and its core values to improve and support the lives of marginalised and disadvantaged people. The Jonny Wilkinson Foundation encourages social participation within communities to tackle mental health concerns together, in order to inspire individuals, influence prejudice and promote awareness and understanding. "These are individuals, young people who literally have nothing going for them at all in some instances or who have been brought up with domestic violence, broken homes, no leadership qualities, literally nothing," said the duke. Waterman: Can't kick, won't kick? Rhodders' Six Nations stat attack! "And you put them on the field and you just see these characters build. "And it's not just about their event, it's the process which then ends up in them reaching a point, reaching that confidence level to be able to get out there and actually make something of their life and I think rugby is unique in that sense."